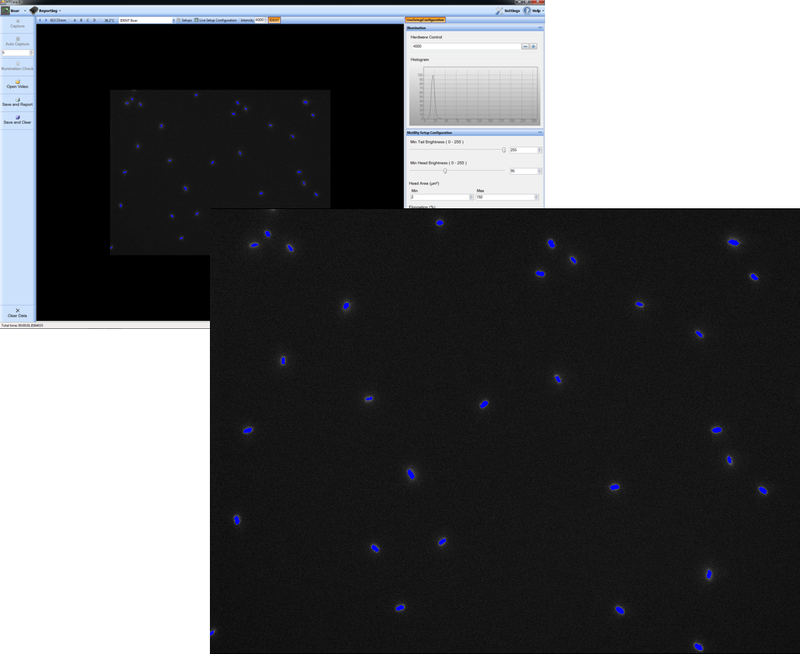 Accurate identification of sperm is easy with use of the IDENT Stain – a specialized, DNA-specific, fluorescent dye. Since sperm heads consist mainly of condensed DNA, the dye is readily absorbed and sperm are easily visible under the fluorescent lighting. In contrast, most detritus does not contain significant amounts of DNA and therefore does not absorb enough dye to be visible under the same lighting conditions.